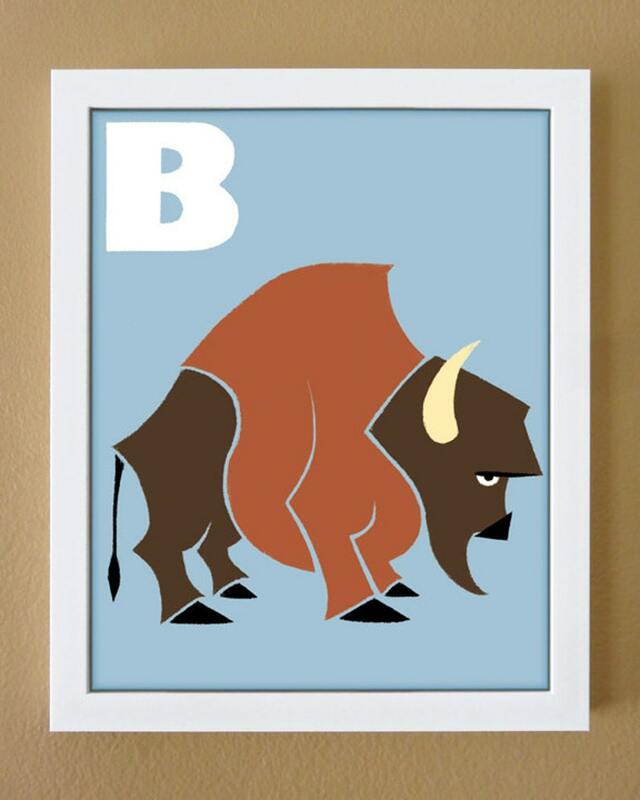 B is for Bison, a wonderfully magnificent animal. This is a print from my original art for our “Animal Alphabet” series. These animals are classic, personable, and bright! The print ships safely with a backing/sleeve and also wrapped in brown kraft paper and twine, suitable for immediate gift giving or just fun to open yourself! • If no customization is arranged within 1 day after purchase the default (as shown in photos) will be sent. Please allow an extra 1-2 days for custom orders.